Mark's practice focuses on representing clients with serious personal injuries, in wrongful death cases, and with civil rights violations by government. 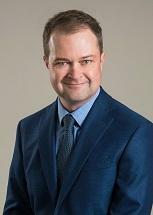 Mark was born and raised in Billings, Montana, and attended Montana State University in Bozeman, Montana before graduating from Gonzaga University School of Law in 2001. Mark also obtained his MBA from Gonzaga University School of Business in 2009. Mark is a member of the American Bar Association, the Spokane County and Washington State Bar Associations, and the Washington State Association for Justice.